Pulled together by saxophonist Patrick Lamb and trumpeter Thara Memory, the "NW Tribute to Ray Charles" uses as its model, 'O Genio – Live in Brazil', a recently discovered film of a Ray Charles concert and rehearsal televised in Sao Paolo in 1963 when Ray, then 33 years old, was in his prime. "Patrick Lamb has brought together the very best of a rich and vibrant Portland music scene," says Don Campbell, music writer and Portland musician. "This project has lit the light in people’s eyes, shown us what we can do together and truly highlighted the depth of Portland talent," says Lamb. "Represented on the disc are the respected stalwarts, the upcoming new talent, the past, the present and some of the future." The CD features vocalists Andy Stokes, Norman Sylvester, Duffy Bishop, Patrick Lamb, Kristina Michelle, ‘Sweet Baby’ James Benton, Linda Hornbuckle, Lee Garrett, Olivia Warfield, Gretchen Mitchell and Paul deLay; horns Dave Mills, Thara Memory, Stan Bock, Dan Brewster, Reggie Houston, Tim Bryson, Renato Caranto, Steve Cannon and Patrick Lamb; and rhythm Anthony Jones, Gene Houck, Eddie Martinez, Janice Scroggins, D.K. Stewart, Peter Dammann and George Mitchell. "These musicians pay tribute not only to Brother Ray, but to this community – past, present and future," says Campbell . 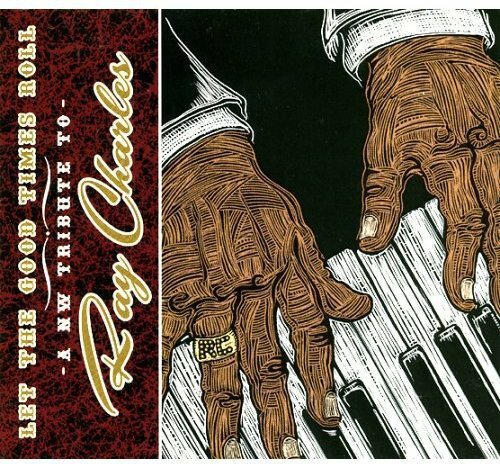 "The Ray Charles Tribute was the highlight of the 2005 Safeway Waterfront Blues Festival," comments Bob Ancheta of KINK fm102, "showcasing Portland ’s finest talent on one stage." The Cascade Blues Association awarded the original Tribute the 2005 Muddy Award for Best Performance of the Year. If you have any questions about this product by Patrick Lamb Prod., contact us by completing and submitting the form below. If you are looking for a specif part number, please include it with your message.